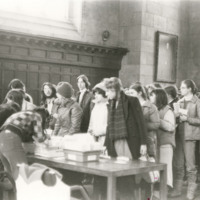 Students waiting in line to obtain exams. 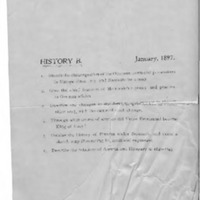 This photo appeared in the Accord yearbook on page 115. 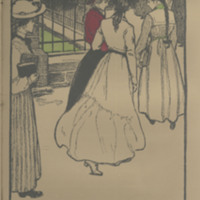 A print from the 1902 college calendar depicting a student on her way to an exam. 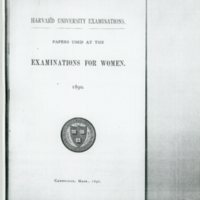 The caption reads "The Gay Young Sub-Freshman trips lightly to her Examination." 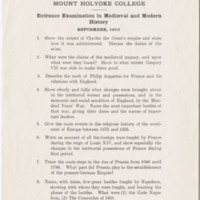 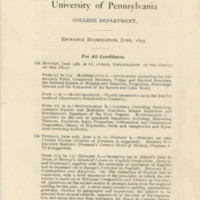 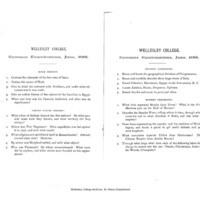 An entrance examination from Mount Holyoke College from September, 1910.